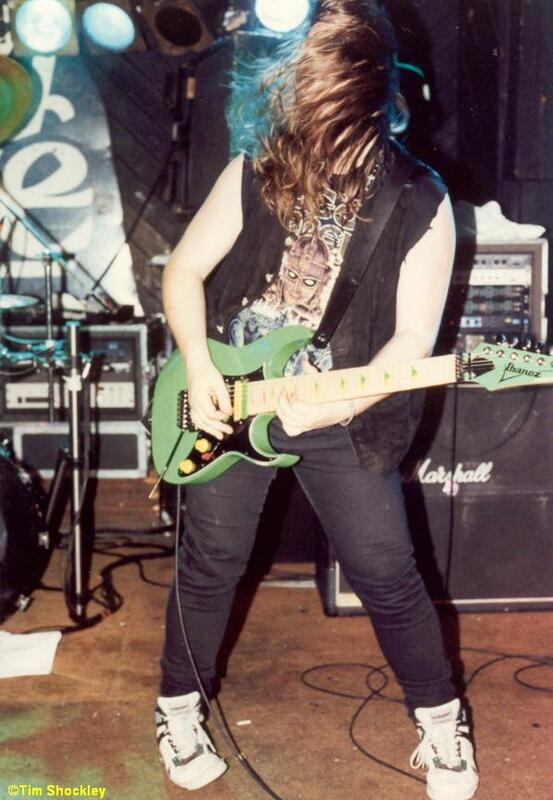 After Piggy passed away, Ellen & Tim Shockley sent us a collection of his fan letters and pics. 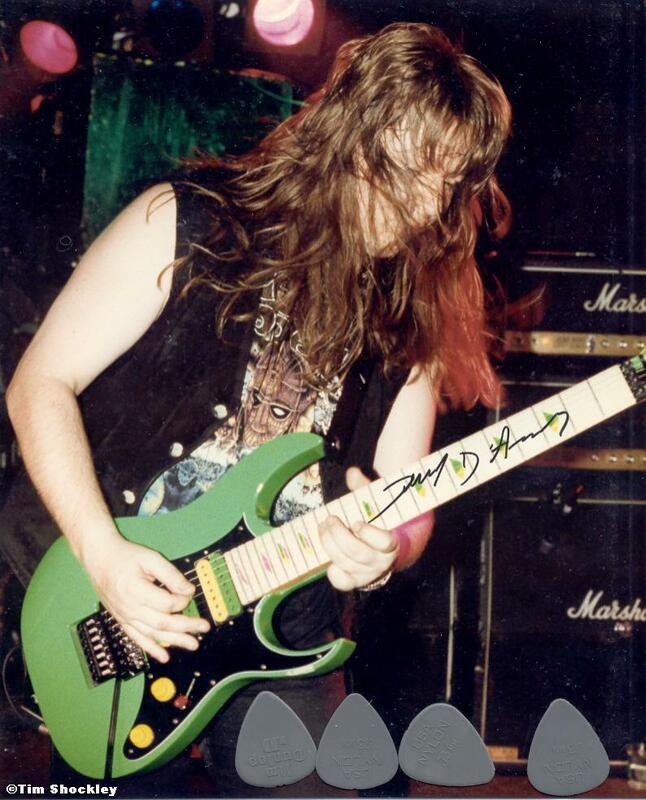 On 2005.09.09, they sent three autographed pictures of Piggy playing live using an Ibanez Universe guitar, sometime on 1993 during the Outer Limits tour, which i think is the only time he used that guitar in concert. 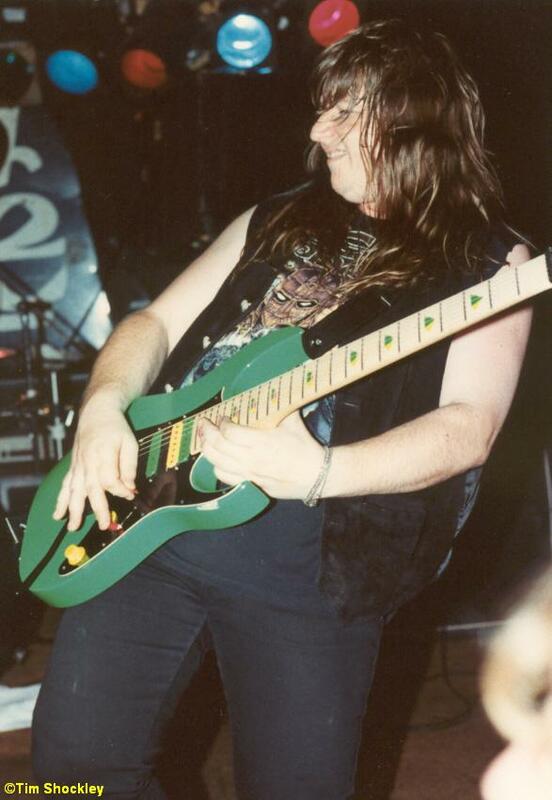 You can read about Piggy’s guitar setup back in 1993 in this Guitar Player interview.